Just to give you a preview, we bring you a WARM UP PARTY featuring The Untitled One and SuspendednoteS, who will blow your mind with their experimental Dubstep, Drum & Bass and Trap! 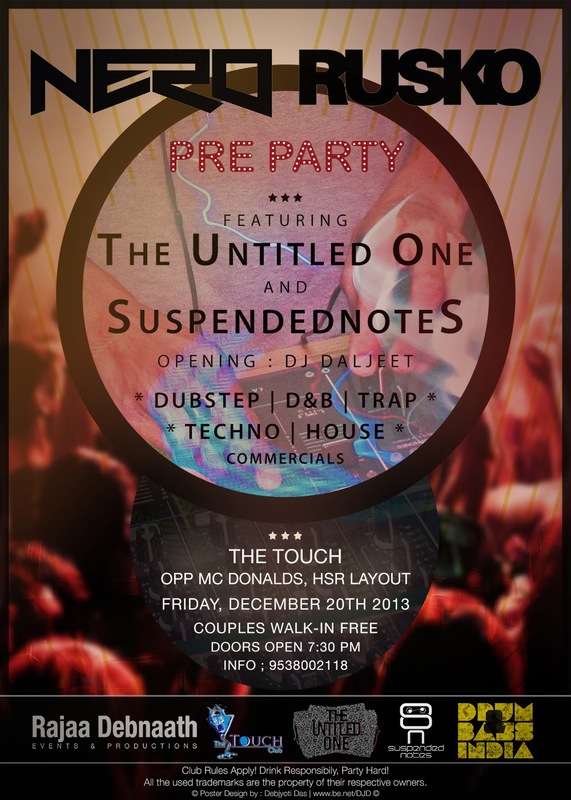 SuspendednoteS is a musical experimental project by Sumeru Shekhar and Syed Mohd Altamash, their performance involves a lot of live sampling along with bass heavy trap beats! Nothing much, but a design graduate , now making and spreading Bass Heavy vibes around. Also known as Debjyoti Das. Other projects: DJ D & The Converters. Time : 7:30 pm till you drop!